While the gap between upper middle-class Americans and the working poor widens, grueling low-wage domestic and service work-primarily done by women-fuels the economic success of the wealthy. Stephanie Land worked for years as a maid, pulling long hours while struggling as a single mom to keep a roof over her daughter's head. 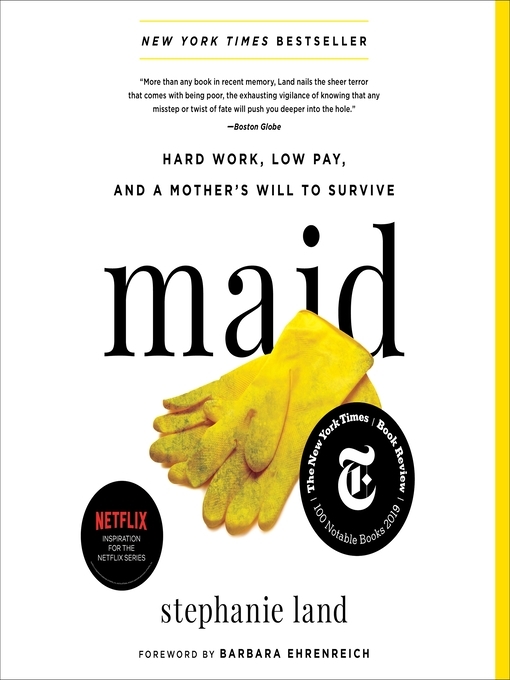 In Maid, she reveals the dark truth of what it takes to survive and thrive in today's inequitable society. Barbara Ehrenreich - Author of introduction, etc. Molly Parker Myers - Author of introduction, etc.